Coeur d'Alene, Idaho, is where people go to hide. Neo-Nazis. Corrupt politicians. Mining men with buried secrets. In 1972, 91 men were killed in a mining "accident" sparked by a fire lit nearly a mile underground: the mystery was never solved. After the rest escaped, only three miners survived underground. More than 20 years later, Matt Worthson is a sheriff's lieutenant and the disgraced son of mining hero and Sunshine Mine survivor Stanley Worthson. Matt expects to finish out his years on the force in quiet ignominy. But when the gruesomely dismembered body of a police chaplain is found at the swanky Coeur d'Alene Resort, Matt is tapped to find the murderer. As Matt investigates the murder of his friend, he finds himself digging deep into the labyrinth of lies that seeps beneath the Coeur d'Alene region, including the Sunshine Mine disaster. Matt now has a chance to uncover both the mystery of the case before him, and the darker truths in his father's past. A neo-Nazi kid holds the only key. If Matt can find a way through the kid's bravado, he might just uncover the truth behind his own broken family. Complex, richly atmospheric, and utterly convincing in its portrayal of the Pacific Northwest, Coeur d'Alene Waters will enthrall fans of Mystic River and Snow Falling on Cedars. 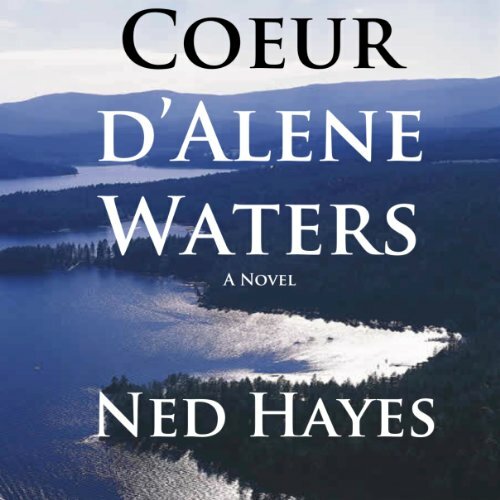 Coeur D'Alene Waters is an interesting audiobbok....I immediately got pulled into the story and the characters from the first chapter. It's a well written, contemporary story, and will surely satisfy the general reader, as well as the thriller buff. The narrator did a good job with this audiobook. Truly excellent whodunit! Excellent narration! I really enjoyed listening to this story. Such a tangled web though, it requires some focus and attentiveness. The narrator does a wonderful job of distinguishing between characters and giving a feel for their personalities by his versions of each one. So many twists and turns, I really enjoyed it! Not your typical boring narration at all! What made the experience of listening to Coeur d'Alene Waters the most enjoyable? The story line was intense, it left me wanting to know what would happen next. The narrator did such a incredible job bringing each and every Character to life. Have you listened to any of Kevin Arthur Harper’s other performances before? How does this one compare? No, but I would love to hear more from him. I can't say enough about how much I enjoyed his narration. Great Plot + Great Audio = Great Entertainment! What did you love best about Coeur d'Alene Waters? Every time I thought I had the story figured out, I found out I did not. Keeps surprising you as this complex and entertaining story unfolds. Great book to listen to while commuting or simply sitting outside and enjoying the day! Two things really... the depth of the story and the depth of the lead participants in this compelling story. The story stands on its own and so do the key participants. You put both of them together and you have a gripping story that keeps you wanting to read/listen! What does Kevin Arthur Harper bring to the story that you wouldn’t experience if you just read the book? When I read books, I read them with my voice. Kevin is able to very successfully match the tone of his voice to the tone of the book AND to the multitude of players in the book. Kevin goes to new heights and brings the radio to life in a way I have never experienced in an audio book. You actually feel you are one of the characters in the story listening to the radio! Amazing. Indeed... I was quite moved by the unbelievable understanding that the Police Chaplin showed in ALL of those that he met and talked to. As an avid listener to books while I drive and relax... I highly recommend this book. Great plot development and imagery. The narration was very well executed; it was easy to follow the character distinctions. I simply could not finish this book. The narrator was horrible. It seemed like he was just learning to read. Wierd pauses in odd places, and big emphasis on random words were distracting and irritating. Sorry, but he completely ruined the story for me. Wish I had listened to a sample first. Total waste of my credit. This is a story of a murder,a man wrongfully accused and how a long dead secret has affected a whole town.I liked it.I found it too long and some spots boring. I don't know if the narrator,Kevin Arthur Harper was meant to read it that way but it made it tough to get through.He is a good narrator.I was given this book free for an honest review. This is the first audible book I couldn't finish and I have over 50 in my library. The details were way off and inaccurate and the story just did not flow.